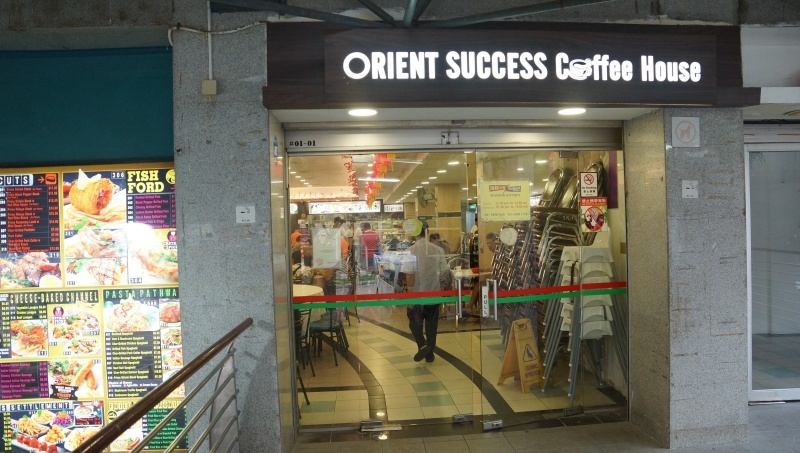 Seafood Kitchen is located in an air-conditioned food court (Orient Success Coffee House) next to the Elias Mall. 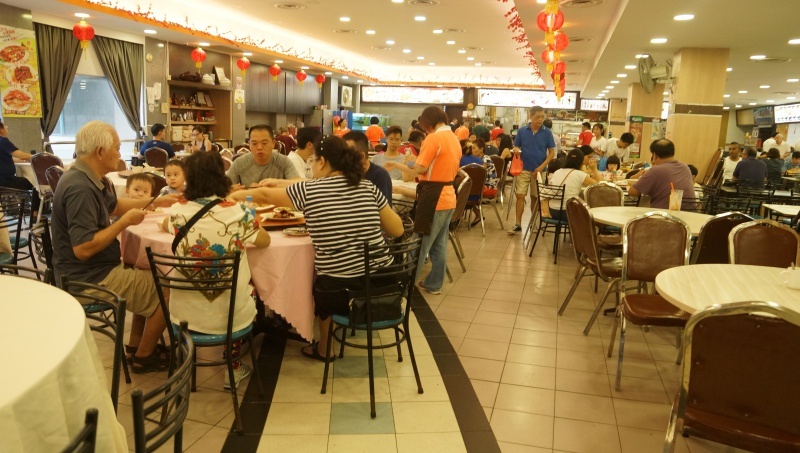 The Chinese zi char restaurant occupies half of the food court’s area, while the rest are occupied by other food stalls. We were recommended by a friend who is a resident staying around the corner to try this place. It was the weekend and Seafood Kitchen was almost full house when we were half way through the meal. It was a good testimonial for Seafood Kitchen, judging the positive response. This is the signature dish here, the crustacean was fresh, sweet and meaty, cooked with mee hoon in a broth that complemented the crab well. The essence of a good crab mee hoon highly relied on the seasoned broth. 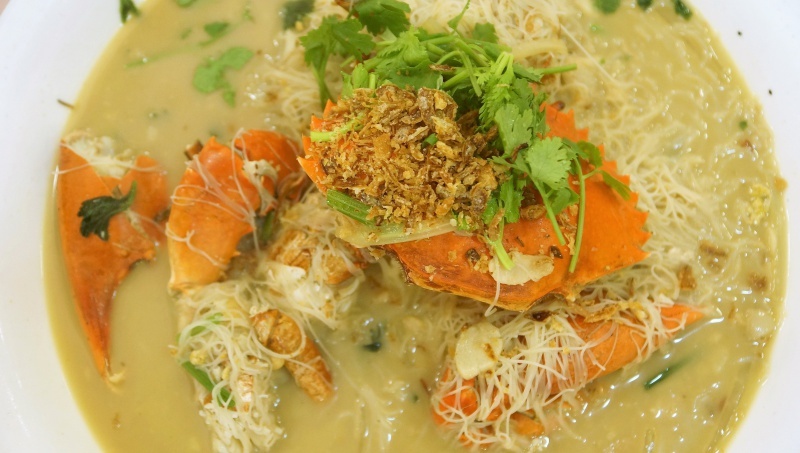 Seafood Kitchen’s signature dish may have fulfilled the fundamentals of a good crab mee hoon but to call it the signature dish may be a little overboard. Somehow the wow factor was not present or distinct to make the dish an exceptional one. 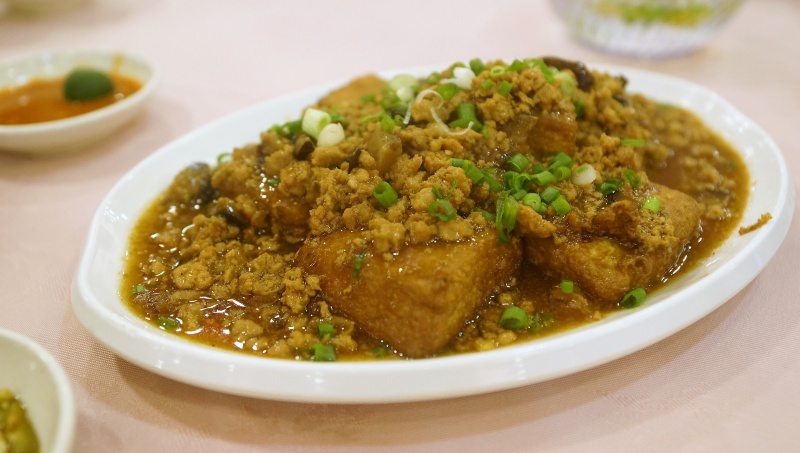 It wasn’t too appealing when the homemade beancurd was served. The first impression was just another ordinary zichar dish but Seafood Kitchen delivered the dish in the speculative manner – flavourful and and soft texture. It is definitely justifiable to name it one of their signature dishes. 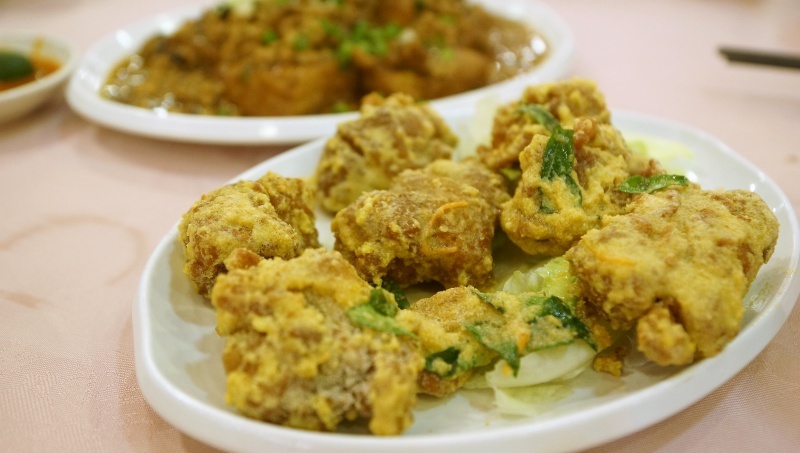 We have been eating salted egg chicken that is served with lots of small chicken cubes, coated with the salted egg yolk sauce. However, Seafood Kitchen has taken the easier way with big chucks of chicken instead. Sure enough, the salted egg flavour was mildly present, and a smaller size would be more appreciated. 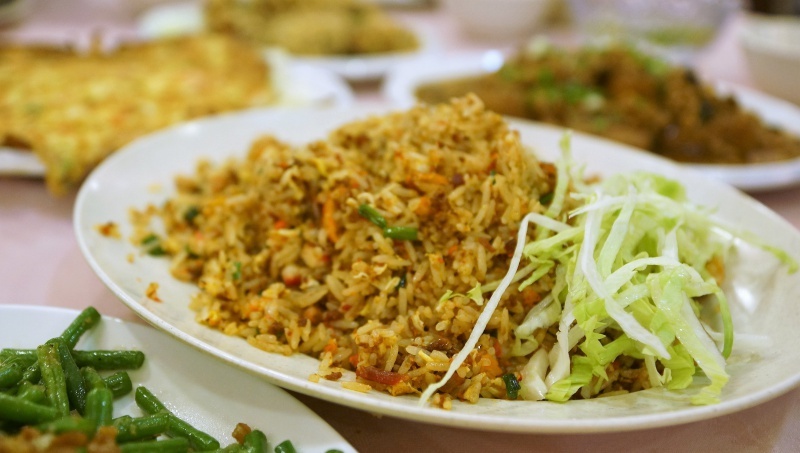 We didn’t have too much of the expectations but the sambal fried rice was packed with charred flavour and the seasoning was impressive enough to keep your mouth busy. 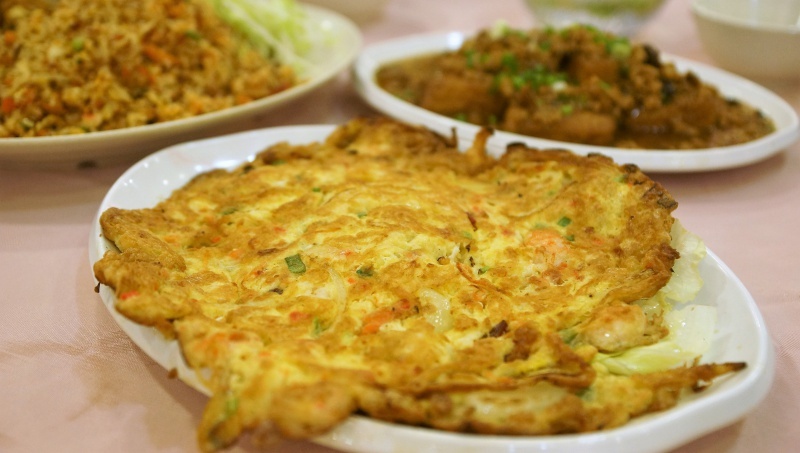 Deep fried fluffy Fu Rong egg, a welcoming dish for alł. 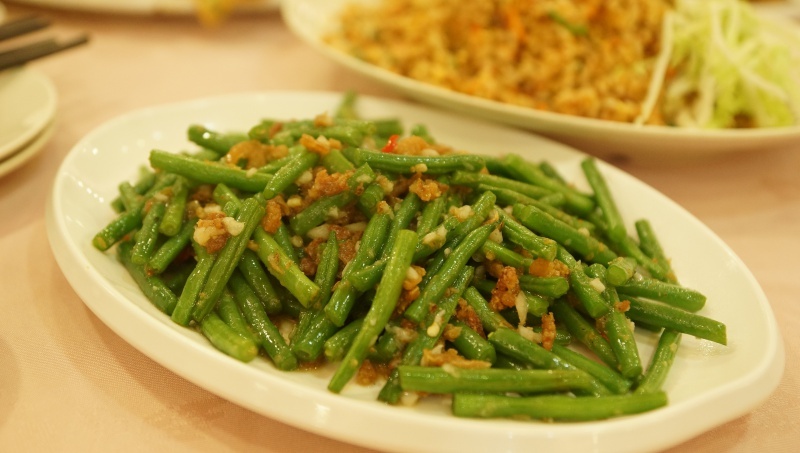 Seafood Kitchen has garnered the support from the patrons with its decent dishes, which may not take you over the moon but if you are looking for some reasonably acceptable zichar food, Seafood Kitchen is worth a try.